Au programme, Khói Trương Chi pour monocorde de Nguyen Thien Dao (2004); Musique ancienne – Poème zen – Musique bouddhiste; Khoi Song pour cithare à 16 cordes de Nguyen Thien Dao (2005), Nguyet Hao (Tuong ancien) ; Ru Ke (jeu théâtral ancien) et musique bouddhiste. 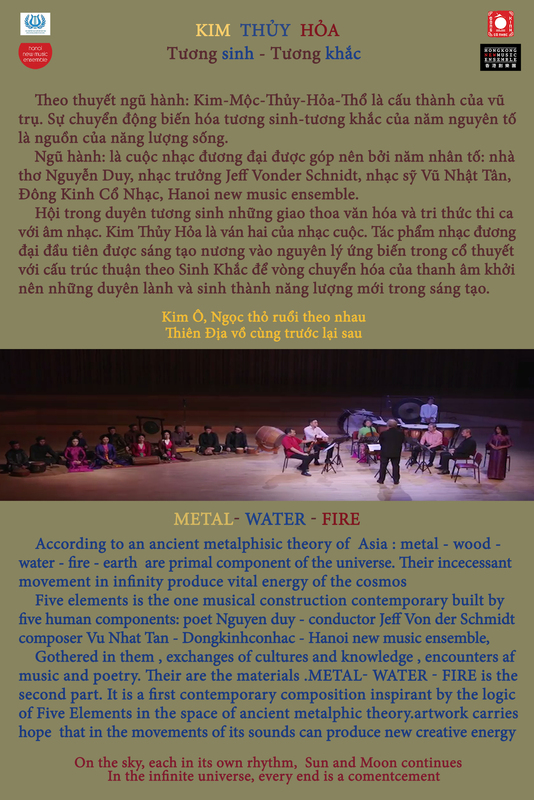 On the program, Khói Trương Chi for Monocord by Nguyen Thien Dao (2004); Ancient Music – Zen Poem – Buddhist Music; Khoi Song for 16-string zither by Nguyen Thien Dao (2005), Nguyet Hao (ancient Tuong); Ru Ke (ancient theatrical play) and Buddhist music. 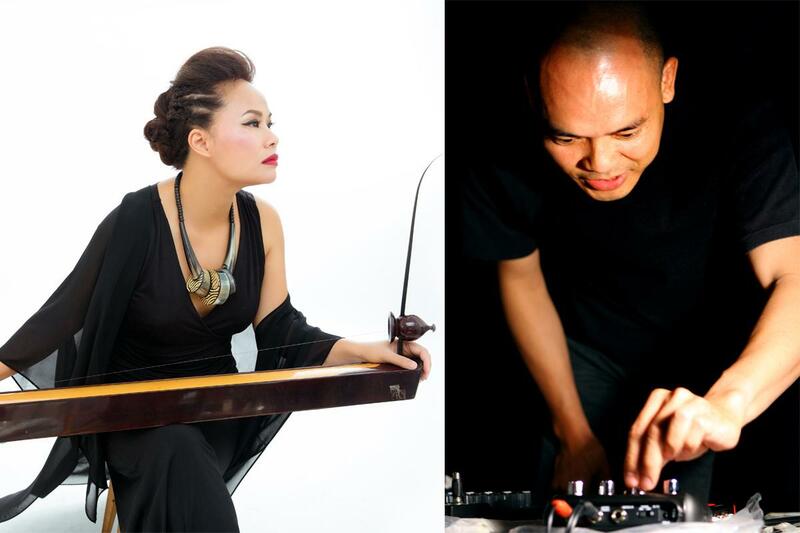 Hanoi New Music Ensemble and Manzi Art Space are pleased to host ‘Shades of the Sounds’ – A contemporary music concert by the Hanoi New Music Ensemble and Đông Kinh Cổ Nhạc the Ancient Music Group of Tonkin, featuring works by composer Vũ Nhật Tân and Tuồng – traditional opera of Vietnam. As a way of expression and cognition, music is a universal language to mankind. Each ethnic group, through its long history of formation and development, has created their own music with distinctive features and characteristics. 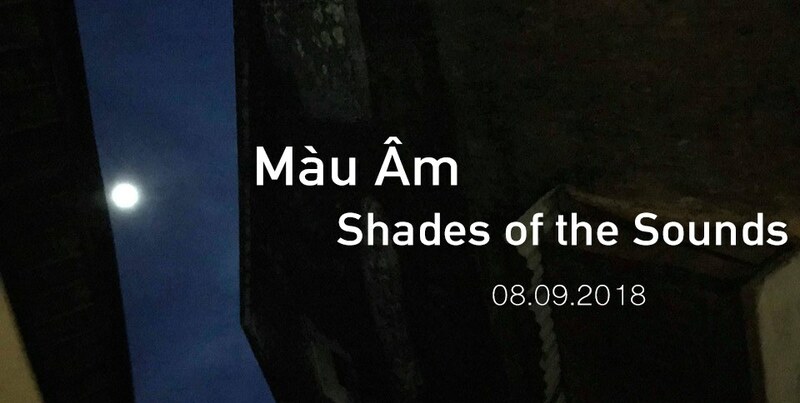 “Shades of the Sounds’ is a program combining contemporary music through the works by composer Vu Nhat Tan and Hát Tuồng – Vietnamese traditional music. With the criterion “to sing as to behold”, Hát Tuồng is a captivating art form, its distinct vocal and performance techniques immerse the audience into different emotional states. The concert is a journey into the sound of music of the Past and Present. Due to limited seating capacity, please email manzihanoi@gmail.com before Thurs 6 Sept 2018 to reserve seats. Please note that the programme is not appropriate for audience under 12. In an exploration of classical and contemporary Vietnamese musical traditions, the Asia Society welcomes to our stage Houston’s globally-focused Apollo Chamber Players alongside award-winning musicians Vân-Ánh (Vanessa) Võ and Vũ Nhât Tân. In this illuminating evening, these talented performers and composers will explore the themes emerging in their work through a demonstration of their instruments and an engaging panel discussion. Houston-based Apollo Chamber Players’ mission is to explore the cultural and folkloric influences in classical music. The group presents thematically-programmed concerts both regionally and nationally. In September 2014, the organization launched a multi-year commissioning project, 20×2020, with a new work by Grammy® winning composer Libby Larsen, and the ensemble has concertized with acclaimed artists James Dunham, Ivo-Jan van der Werff, Timothy Pitts, Ismail Lumanovski, Viktor Valkov, and Robin Kesselman. Winner of HoustonPress’ 2014 MasterMinds award, Apollo was one of three organizations in Houston to be recognized for positively impacting the local arts community. Passionate about arts education, the ensemble curates culturally-enriching programs for performance through Young Audiences of Houston, and it has performed concerts and presented masterclasses for schools and festivals across the country. Vân-Ánh Võ is one of the finest performers of Vietnamese traditional instruments in the world and a rapidly emerging composer. She dedicates her life to creating music by blending the wonderfully unique sounds of Vietnamese instruments with other music genres, and fusing deeply rooted Vietnamese musical traditions with fresh new structures and compositions. Since settling in the San Francisco Bay Area in 2001, Vân-Ánh has focused on collaborating with musicians across different music genres to create new works, bringing Vietnamese traditional music to a wider audience and preserving her cultural legacy through teaching. Additionally, she has been co-composer and arranger for the Oscar® nominated and Sundance Grand Jury Prize winner for Best Documentary, Daughter from Danang (2002), and the Emmy® Awards winning film and soundtrack for Bolinao 52 (2008). Vân-Ánh recently became the first Vietnamese artist to perform at the White House. In addition to the zither (đàn Tranh), Vân-Ánh also performs as soloist on the monochord (đàn Bầu), the bamboo xylophone (đàn T’rung), traditional drums (trống) and other traditional instruments. Vũ Nhât Tân is a Vietnamese composer of experimental, chamber, and piano music, as well as electronic and multimedia works that have been performed around the world. Tân studied piano at Vietnam National Academy of Music in Hanoi, where he earned degrees in secondary education in composition and musicology in 1991, as well as a Bachelor of Music in 1995. He later studied computer music and new music at the Staatliche Hochschule für Musik in Cologne in 2000-2001. His honors include Third Prize in the composition for traditional instruments competition of the Vietnam Composers Association in Hanoi in 1992 for Chamber Piece for Traditional Vietnamese Instruments, and First Prize in the Saint-German-en-Laye competition in 1995, for Ky Uc – Memory. His music has been performed in Australia, Cambodia, China, France, Germany, Mongolia, Switzerland, the USA, and Vietnam, including at the Roaring Hoofs Festival in Ulaanbaatar (2000), the Louisiana Festival of Contemporary Music in Baton Rouge (2002), the Totally Huge New Music Festival in Perth (2003), and the Asian Music Festival in Tokyo (2003). Major support for Performing Arts programs comes from Nancy C. Allen, Ellen Gritz and Milton Rosenau, the City of Houston through Houston Arts Alliance, and the Anchorage Foundation. Generous funding also provided by AARP, The Clayton Fund, Miller Theatre Advisory Board, New England Foundation for the Arts. Additional support provided by the Wortham Foundation, the Texas Commission on the Arts, and through contributions from the Friends of Asia Society, a premier group of individuals and organizations committed to bringing exceptional programming and exhibitions to Asia Society Texas Center. This program is presented in partnership with Apollo Chamber Players. 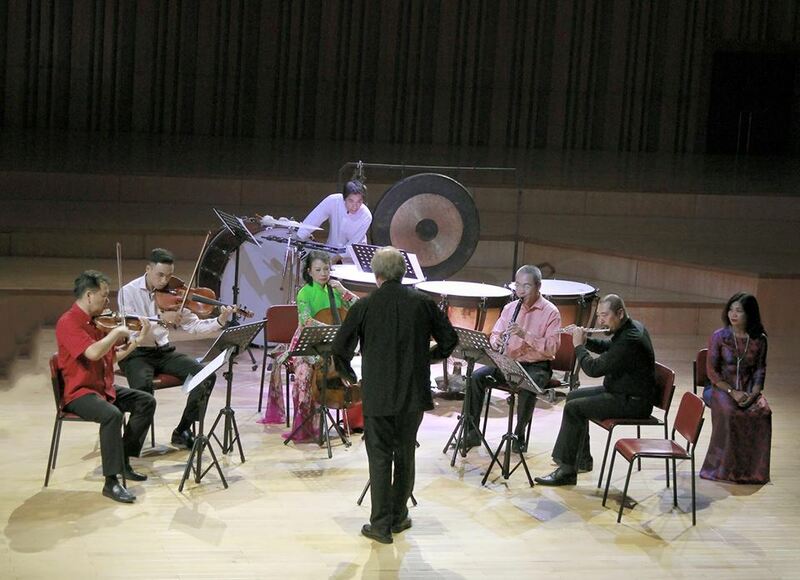 The Goethe-Institut Hanoi is delighted to present “Night Rain” – a concert of the Hanoi New Music Ensemble. “Night Rain” comes to Hà Nội, the next program of the Hà Nội New Music Ensemble! Schoenberg‘s ”Transfigured Night” receives its Vietnamese premiere, a big step forward for my hardworking friends. I’m happy Ngo Tra My will perform a work written for her by Nguyễn Thiên Đạo, the Xenakis of Asia. Technology guru Vũ Nhật Tân will have two works on the program. The Vietnamese understand family better than anything – I’ve tagged our friends in Schoenberg‘s family, so from Los Angeles to Vienna to Hà Nội to Venice best wishes all around!